“The note said: Wally, I will not live in a tarpaper shack the rest of my life. Love, Bette.” That’s what ten-year-old Lulu Parsons discovered on the kitchen table the day her mother and their neighbor, Alice McFee, disappeared. And she hides it. Over the next forty years, Lulu tries to navigate this absence, tortured by pain, grief, and guilt, never knowing if her mother is still alive or murdered as the rest of the town suspects. 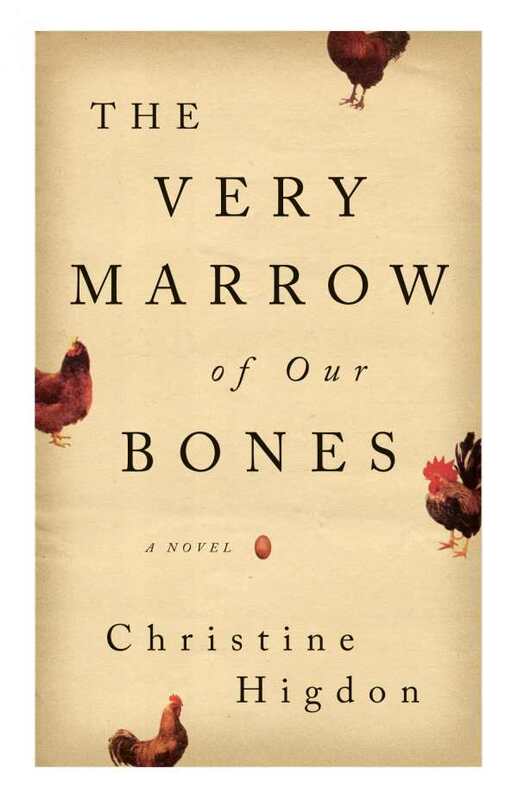 Probing the kind of pain that “leaves you shattered and speechless,” Christine Higdon’s The Very Marrow of Our Bones toes the edge of grim darkness as it explores the shape of absence in the loves and lives of those left behind. The majority of the novel alternates between two narrators: Lulu Parsons and Doris Tenpenny. Their intertwined stories span the four decades from shortly before these mysterious disappearances to a fictive present. Because Lulu is one of five children growing up in the aftermath of her mother’s disappearance, her story is always shadowed by the disappearance of her mother. What fills Bette’s absence has the allure and danger of the void, best embodied in Lulu’s relationship with Aloysius McFee, the spouse of the other woman who disappeared. Only slightly older than Lulu, Doris Tenpenny, the mute daughter of the local hellfire-and-brimstone preacher, watches this relationship unfold from her egg stand, scalded by the knowledge of her own unwanted contact with Aloysius. His problematic character forms an invisible bond between the two as each woman’s sense of home is taken away and slowly reconstructed with unexpected and often unwanted givens. Brutal and punishing with occasional grace notes, The Very Marrow of Our Bones is concerned with morbidity—both the human capacity for it and what people make of it when it becomes the raw material of their lives.